Consider these Montessori-inspired items for an intentional registry that will encourage a calm and independent tot. Creating a baby registry can be really fun and exciting, but also completely overwhelming. While we all know that babies actually need very little other than a safe place to sleep, diapers, and a lot of love and attention, we also want our babies to have the best. If you’re not sure where to start with your own baby registry, or are looking to gift a friend something unique, consider these Montessori-inspired items for your newest tot. 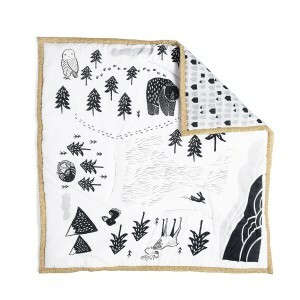 This beautiful organic play mat features black and white images, perfect for an infant’s developing vision. The simple images spark baby’s interest and engage his mind without overwhelming him with bright colors or flashy pictures. As a bonus, the woodland and city scenes featured on each side of the mat provide a fun backdrop for older children’s imaginary play. So many of the activity gyms out there are overwhelming with lights and sounds and too many crowded images. In contrast, the Monti Kids Level 1 Activity Gym was specifically designed by a certified Montessori teach and mom who wanted to avoid overstimulation while also providing her baby with a rich learning environment. 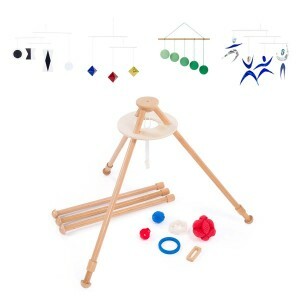 The Level 1 Infant Kit includes guides for parents including short, how-to videos, articles and access to a private community moderated by certified Montessori educators, an adjustable wooden activity gym designed to hang Montessori mobiles and toys at just the right distance for your baby’s development and a variety of engaging and stimulating attachments that you can swap in and out. Montessori emphasizes the use of natural materials, as it provides children with a richer sensorial experience. 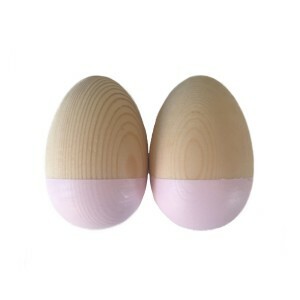 This teether is made completely of natural rubber and features different textures, making it an interesting early toy for babies as well as an effective teether. 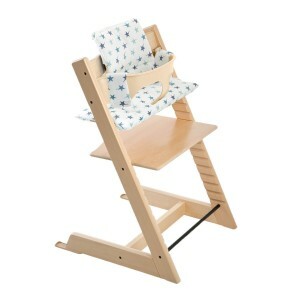 Its design is also wonderful for helping babies practice their developing ability to grasp, clutch, and release objects. 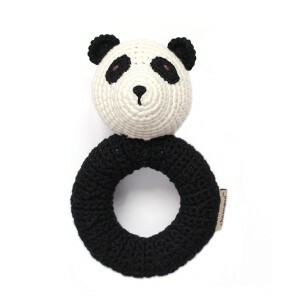 This crocheted rattle appeals to newborn babies’ love of black and white. 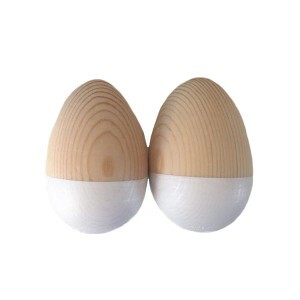 The rattle makes a soft, calming sound and the shape is easy for young babies to grasp. 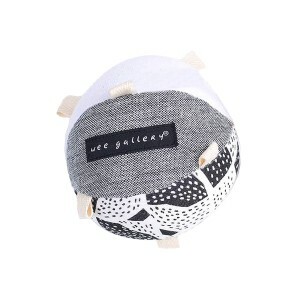 A clutch ball is a wonderful toy for babies who are not yet mobile. Younger babies can practice holding onto the ball, perhaps transferring it from hand to hand. Older babies may drop it and watch it roll, providing great inspiration to try to reach something that’s just out of their grasp. As this type of ball does not roll too far, it provides just the right amount of challenge. Exploring these different three dimensional shapes provides babies with an intriguing sensorial experience. 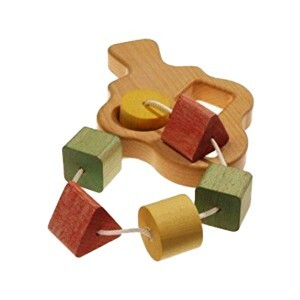 Crafted from sustainable wood and non-toxic dyes, this shape sorter toy is safe for babies to chew on as well. Playing with these shapes with your baby provides an excellent chance to introduce new vocabulary as you name the shapes and colors for him. The simplest toys are often the best. Shape sorter toys help babies explore size and spatial relationships. Books make wonderful gifts that can be shared with siblings and friends. Filled with three bestselling Karen Katz board books, this set will have parents sharing even more hugs and kisses with their little ones, one story at a time. The collection includes Mommy Hugs, Daddy Hugs, and Counting Kisses. Many Montessori families use a small child-sized table and chair for when a baby is having a snack or meal on his own, and a high chair for family dinners. 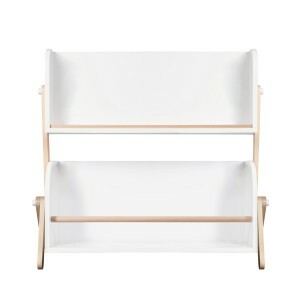 This unique Stokke high chair pulls right up to the table so that even the youngest child can be included in the family and can use a plate instead of a tray. It also adjusts to grow with your child right up until adulthood. The thing that makes this high chair uniquely Montessori-friendly is that it transforms from a high chair to a children’s chair so that young children can climb in and out independently when they’re physically ready. Part of Montessori for young children is having materials within their reach. 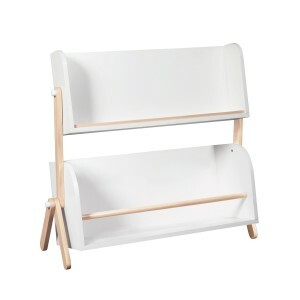 This Babyletto book shelf is the perfect size for young children and enables them to choose their own books from a reasonable selection that isn’t overwhelming.